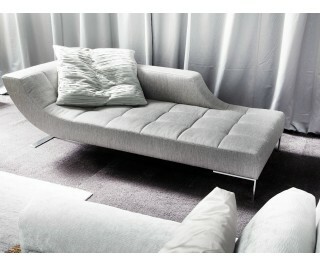 The model Viceversa recalls déco sofas revisited in a modern key. Metal frame, springing system with elastic webbing, padded with non-deformable polyurethane foam and covered with polyester fibre. Steel feet with satin chrome finish. Covers can be made with fabric or leather.